Carrying out the divine instruction to connect education with medical missionary work. “All power is given unto Me in heaven and in earth. Go ye therefore, and teach all nations, baptizing them in the name of the Father, and of the Son, and of the Holy Ghost.” Matthew 28:18,19. When Santo’s Evangelistic Training Institute (SETI) held an evangelistic effort in the village of Melgaço here in our state of Espirito Santo in Brazil, the stage was once more set for the controversy between good and evil. At the beginning of the seminar, many community members attended. Then the clergy in Melgaço’s leading church openly threatened its members to discourage them from attending the prophecy seminar. Many were intimidated, and others were filled with prejudice. But glory to God, Christ fulfilled His promise and empowered His servants to accomplish the great gospel commission. Four people accepted Christ as their Lord and Savior in baptism, and 12 others from the community are preparing for baptism! Because of the evangelistic series, a small congregation now meets every Sabbath and other weekdays to worship God, study the Bible, and serve the community. What a victory for God! As the light of the Three Angels’ Messages shines in that region, the devil is losing ground. We hope that soon a Seventh-day Adventist Church will be established in Melgaço. In other news, SETI recently opened our lifestyle program! Even though the lifestyle center facility has not been fully completed, we moved forward in faith and began accepting health guests. Under the medical guidance of Dr. Bento Gomes and his wife Elida, more than 20 people have received treatments. 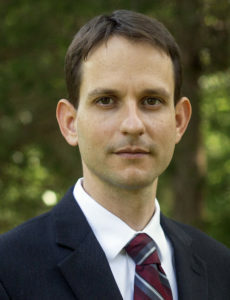 Dr. Gomes introduced a well-planned detoxifying program that can benefit almost anyone, whether they are battling illness or just want to improve their health and prevent disease. The program includes hydrotherapy treatments, sauna, massage therapy, juice fasting, supplements to cleanse the liver and intestine, regular exercise in the garden and daily lectures about proper nutrition and other habits of healthful living. Our clinic is the only one offering natural treatments in our entire state, and we thank God for this open door to minister to many people in Espirito Santo! Not only that, but SETI’s students will greatly benefit from the hands-on experience in medical missionary work that the new lifestyle center affords. “An educational work should be carried on in connection with all our sanitariums. There is a close relation between the work of our schools and our sanitariums, and wherever it is practicable, there are decided advantages in having a school in close connection with a sanitarium.” Counsels on Health, 242. 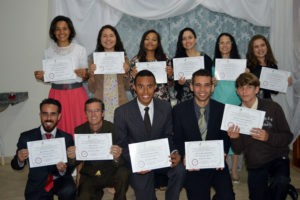 Eleven graduates from the medical missionary training program at Santo’s Evangelistic Training Institutes (SETI). Pray for the young congregation worshipping in Melgaço, both that the members may grow in wisdom and knowledge and that soon they will be able to establish a church. Pray for the students at SETI to become effective missionaries wherever God may send them. Donate. 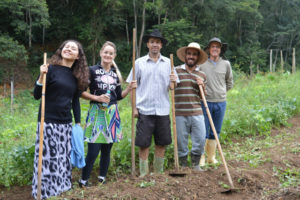 Your donation to Mission Projects International marked “Brazil—SETI” will help complete SETI’s lifestyle center facility so that more people from Espirito Santo, Brazil can attend the lifestyle program and be reached with the health message and the gospel.